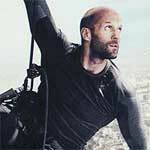 Mechanic: Resurrection, while not awful and at times passably entertaining, had not reason to even exist, although from my memory was I guess a tad better than its predecessor. The only reason to even sit through this is for Jason Statham who still possesses great charm, otherwise the stunt work isn’t the best and the plot is incredibly thin. 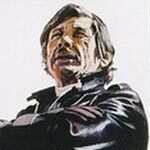 The Mechanic was the perfect role for Charles Bronson who commonly was known for his roles in the Death Wish movies. His performance here was great and worked well opposite Jan-Michael Vincent. The Blu-ray released by Twilight Time offers good video and audio transfers while the bonus material is limited. The Mechanic is just your typical Jason Statham action film, whether or not that’s a compliment is entirely up to you but he has a brand not unlike Sylvester Stallone and Arnold Schwarzenegger from the ‘80s and ‘90s transformed for the 21st century. As for what the Blu-ray offers, the video and audio both deliver the goods but it falls far short in the special features department. The trailer for The Mechanic was released starring Jason Statham, Ben Foster and Donald Sutherland and is set for release on January 28th, 2011 and was directed by Simon West (Tomb Raider).